Due to the chance of rain and risk of thunderstorms on Saturday, Sunday promises (we hope!) to be a nicer day for all to enjoy. Join your neighbours for our annual celebration of our community. For set-up, food preparation, servers, clean up. Many hands make light work and an enjoyable event for all! Please contact our Events Coordinator, Deanna MacArthur at deanna@livingsky.ca to lend a hand. 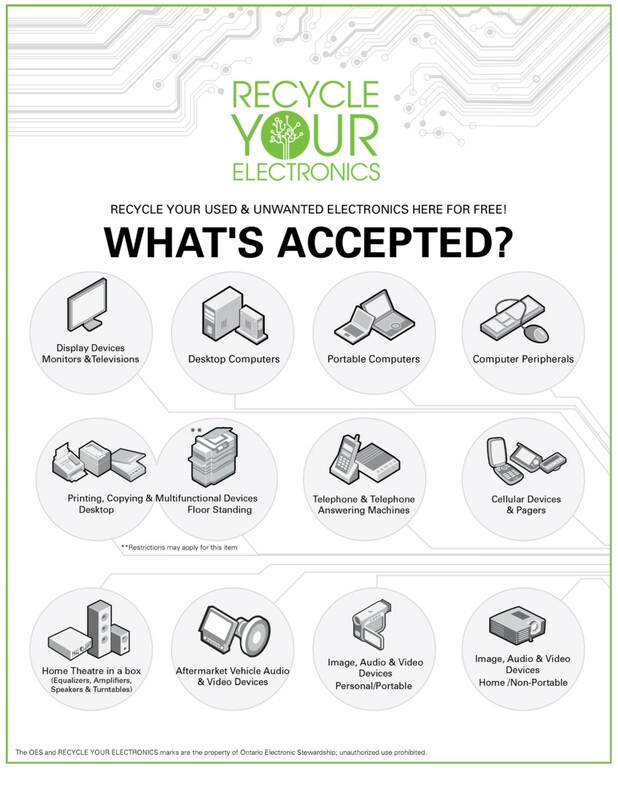 Recycle your Used & Unwanted Electronics here for free! Remember to wipe your SIM Cards and clear your drives of all personal data! YOMA is a community youth organization created by youth for youth in Manotick and the surrounding rural communities of Ottawa. The ultimate goal of YOMA is to be able to build a youth centre, which would offer community focused social and preventative programs, intervention services, life skills development and leadership opportunities. This entry was posted in CGYHA Events and tagged events, street party. Two Discovery Tour Stops in the neighborhood!